I have an idea for a really simple Z-probe and wanted to run it by some of you on here more knowledgeable than me ;), to see if it would work. 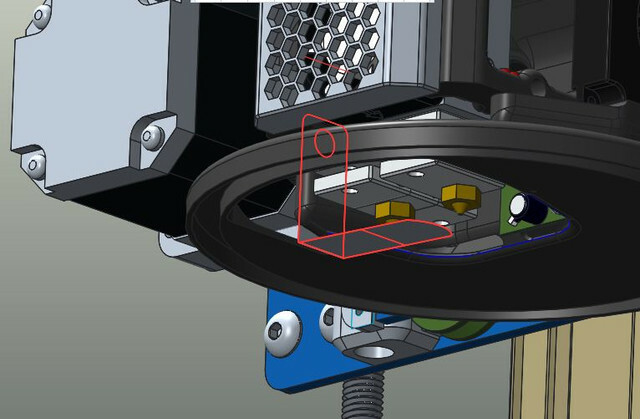 The idea is to have a thin sheet of metal that bends and touches the hotend tip. The two wires would be connected: 1. To the metal strip, & 2. to the heater block. 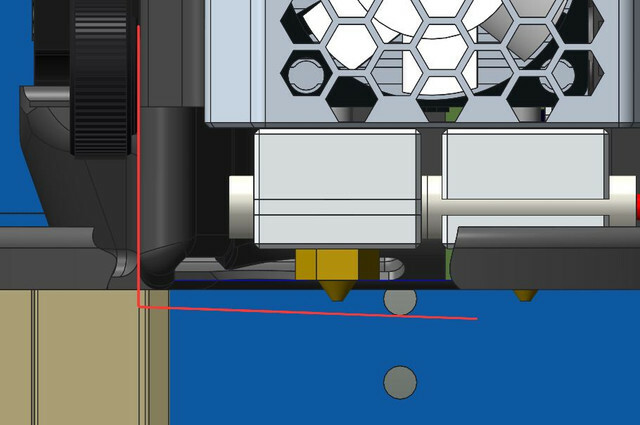 When the hotend lowers down it pushes the metal strip into the hotend tip until it touches and closes the circuit. Once the probing is done I would have it lift up, pause for about 10sec and then I can rotate the metal strip out of the way. I have it hooked up and tested it with my multi-meter to see if I get continuity and it works great. Now all I need to do is hook it to the DuetWifi. I was thinking I would use Mode 4 for this type of setup. 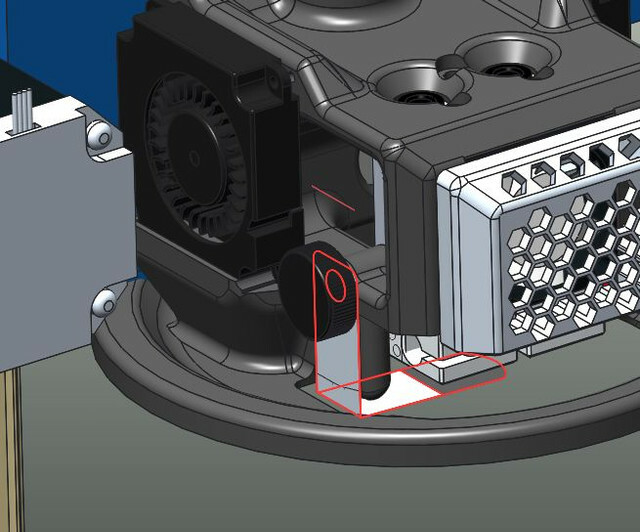 Pictures below show the cad models. It should work just fine, direct electrical contact has to be the gold standard z-probe, but as most of us do not have a conductive bed, your idea allows this method without needing one. (makes me wonder though if someone could make a printbite/pei bed with some conductive material embedded within it). If you can make it deploy/stow reliably and the metal contact strip is durable enough and it lies flat against the bed as the nozzle lowers, then its a good idea. I am sticking with piezo for now, its permanently mounted, simple and very reliable and accurate. I'd be a bit concerned about any filament oozing out of the hot end, acting as an insulator. You'd need to home with the hot end heated, otherwise any "congealed" filament is going to screw things up, so oozing would be a real issue. The filament will then cool and set on the metal strip so you'd have to clean it off every time you used it. I usually set my height with everything warmed up so that it takes into account thermal expansion. The head homes fine but when it moves to each probe location the head does not move down. What do I have wrong here? The M574 E0 S0 command is obsolete. If your Z probe produces an active low output, add parameter I1 (that's letter I for India followed by figure 1) in your M558 command. 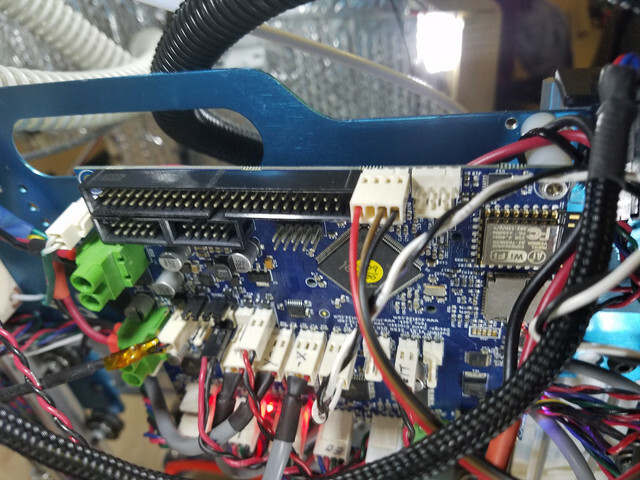 Test that the firmware is reading the Z probe correctly when not is triggered and not triggered, using the M119 command or the Machine Properties page of the web interface. 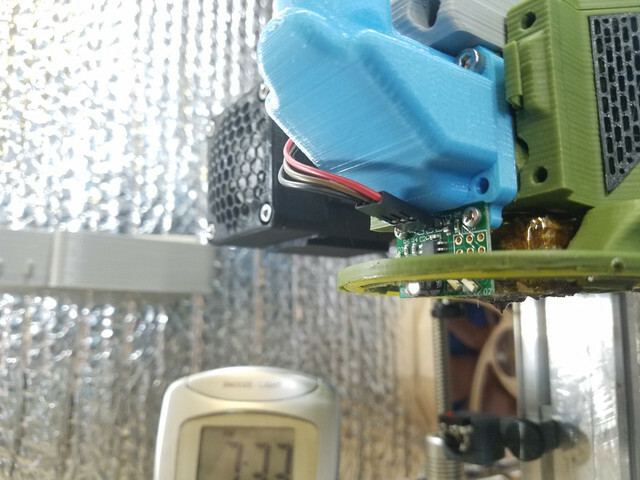 On my other machine I installed the Mini IR sensor and got it working last night ran a print and worked flawlessly. Go to do another print today and the probe will not stop once it is triggered and keeps going down for about another 3-5mm before moving back up and going to the next spot. Each location does the same thing. Here is what I was using.. no changes from last night. In the sensor box for the Z-Probe it has 1000 when it is not triggered. Not sure if it was like that last night or not. If it's David's mini IR probe, you should be using P500, not 600. Ahh your right. Not sure what happened there. Even still I set that to 500 and when I do G30 S-1 it says Error: Z probe already triggered at start of probing move. z-probe still says 1000 in machine status. Thought there might be some IR interference like it says on the how to page so I turned off all the lights and darkened the windows. Still says 1000 at about 15mm above the bed. Does the led on the sensor flash 4 times at startup, and after that turn on when the sensor is triggered and off when it is not? If yes then the OUT wire from the sensor is not properly connected to the input pin on the Z probe connector. Yes it flashes 4 times and then goes off. When the probe gets close to the bed the light comes on but just keeps going. I have it running a print at the moment but will check the wires again. Perhaps the terminal is not secure on the wire. If you post photos of how both ends of the Z probe cable are connected, I can check your wiring. Checked the wire connectors for continuity to each end and all is good. Update: So just for the heck of it I decided to remove the I1 from the M558 command and now it is working.